Renowned annual events and festivals draw visitors from around the world to the Eugene, Cascades & Coast region. 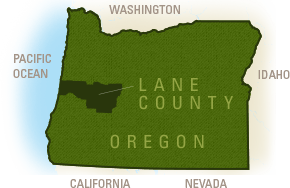 Dedicated non-profits and event organizations produce many of these highly esteemed gatherings and signature galas for Lane County. Plan your visit around the Oregon Truffle Festival in January, the Oregon Country Fair in July and the Scandinavian Festival in August. Visit the Oregon Coast for the Rhododendron Festival, McKenzie River for the Wooden Boat Festival or Coburg for their Antique Fair. Partake in sports events like the Prefontaine Classic, Eugene Marathon and The FAT-55.